Color/Consistency Colorless to pale yellow liquid. 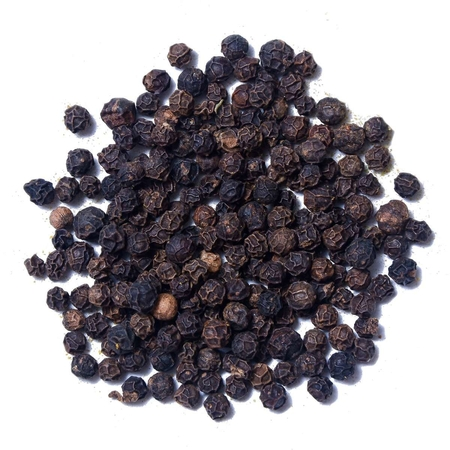 Aromatic Summary / Note / Strength of Aroma A base note with a medium aroma, Frankincense Essential Oil has a warm and spicy, woody odor that is haunting. Blends With Basil, Bergamot, Cardmom, Cedarwood, Chamomile, Cinnamon Bark, Clary Sage, Coriander, Geranium, Ginger,Myrrh and Vanilla. Frankincense essential oil also Known as the king of essential oils. 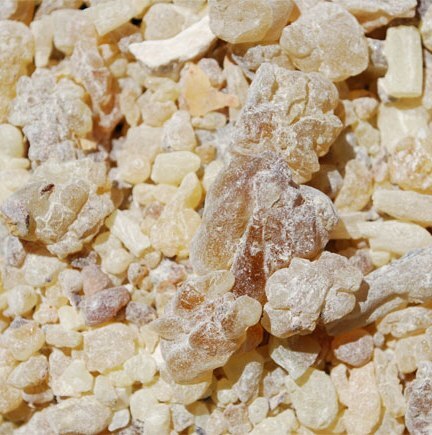 Frankincense originates from a small scraggly but hardy tree indigenous to the Middle East, which is small with abundant pinnacle leaves and white or pale pink flowers. 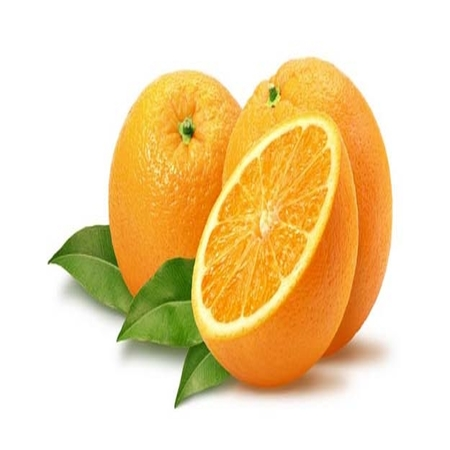 This powerful essential oil is admired for its ability to beautify and rejuvenate skin when applied regularly, and to promote cellular health and immunity and produce a healthy inflammatory response. 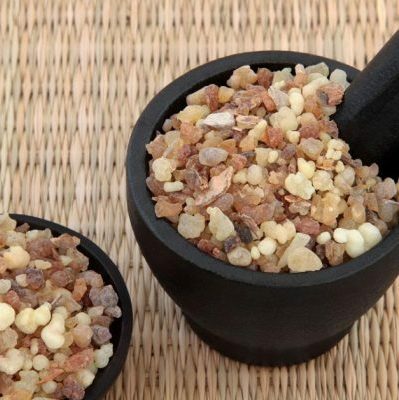 Frankincense Essential Oil is used most often for spiritual, perfumery and incense /room fragrance applications but is useful as an expectorant and sometimes is used in respiratory and cough formulations. 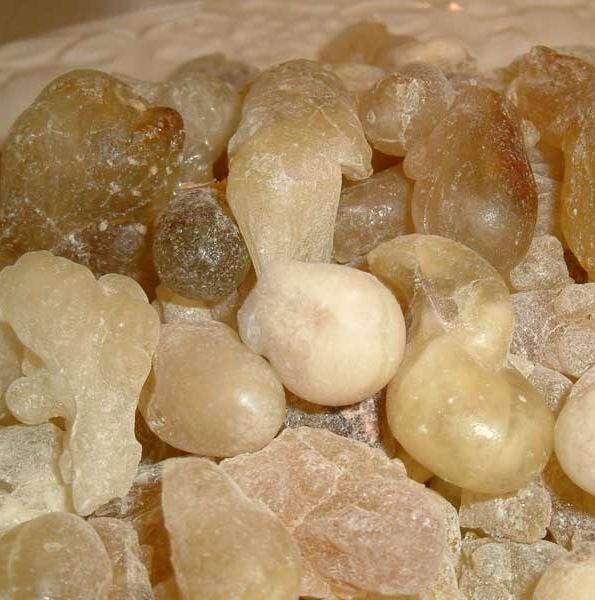 Frankincense has been traded on the Arabian Peninsula, in North Africa, and Somalia for more than 5000 years. A mural depicting sacks of frankincense traded from the Land of Punt adorns the walls of the temple of ancient Egyptian Queen Hatshepsut, who died circa 1458 BC. There are no known adverse side effects. That being said, frankincense essential oil should not be used during pregnancy, since it does act as an emenagogue and astringent. 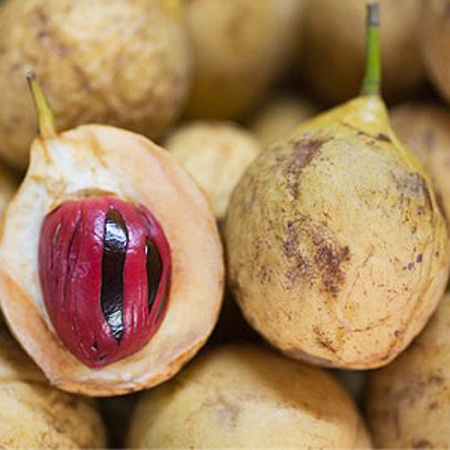 B. Serrata oil may contain a small amount of estragole, but this is unlikely to present a problem, since it contains larger amounts of anticarcinogens. No maximum is given for B. frereana or B. neglecta which, in addition to small amounts of thujone, contain higher concentrations of pinenes. 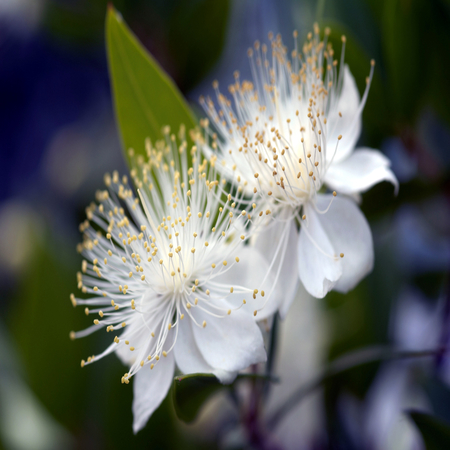 Adverse skin reactions A 65-year-old aromatherapist with multiple essential oil sensitivities reacted to 5%, and weakly to 1% frankincense oil. 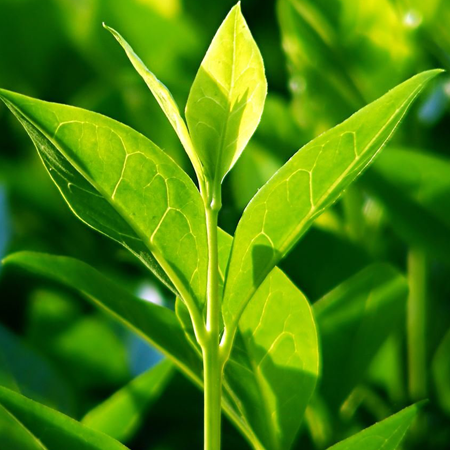 B. frereana, B. sacra and B. rivae are rich in a-pinene, (þ)-limonene and/or d-3- carene. Autoxidation products of these compounds can cause skin sensitization. Reproductive toxicity The low reproductive toxicity of sabinene, a-pinene, (þ)-limonene and octyl acetate suggests that frankincense oils are not hazardous in pregnancy. 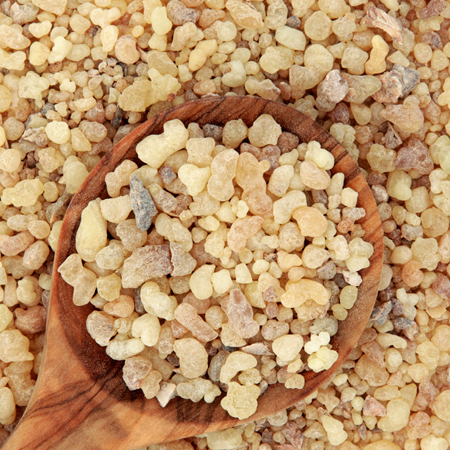 For many years there has been little clarity about the various types of frankincense and their essential oils. The current consensus is that B. carteri and B. sacra are the same plant, though this is still disputed by some. B. thurifera has sometimes been given as a synonym for these. B. bhau-dajiana is a synonym for B. sacra, but has often been given as a separate taxon in the past. 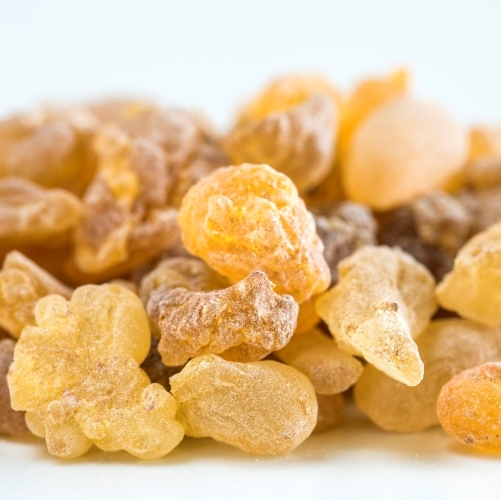 Amid the confusion over nomenclature, some frankincense oils may have been ascribed to incorrect origins. A complicating factor has been that some reports were based on materials obtained from markets rather than from properly identified trees. Some of the compositional data used here for B. papyrifera were originally ascribed to B. carteri, but there now seems little doubt that frankincense oils rich in octyl acetate originate from B. papyrifera. High a-pinene levels probably indicates B. frereana, and lower concentrations probably point to B. sacra, but more work needs to be done to confirm these findings. There may also be an a-thujene CT for B. sacra. There is a (þ)-limonene/(E)-bocimene CT of B. sacra though this is probably not used for commercial es ential oil production. Some sources give a-pinene as the major constituent of B. rivae.